Chemical, Biological, Radiological, Nuclear, and Explosive (CBRNe) threats are increasingly being used by state and non-state actors worldwide, enhancing their lethality and finding ever-changing ways to deploy them. In our mission to make this world a safer and more secure place, IB Consultancy (IBC), the creator of NCT events and magazine, is ramping up its efforts to understand CBRNe issues threatening the general population as well as military and civil first responders; the policies governments around the world are employing to fight these threats; and the equipment being developed by industry leaders to assist in this effort. 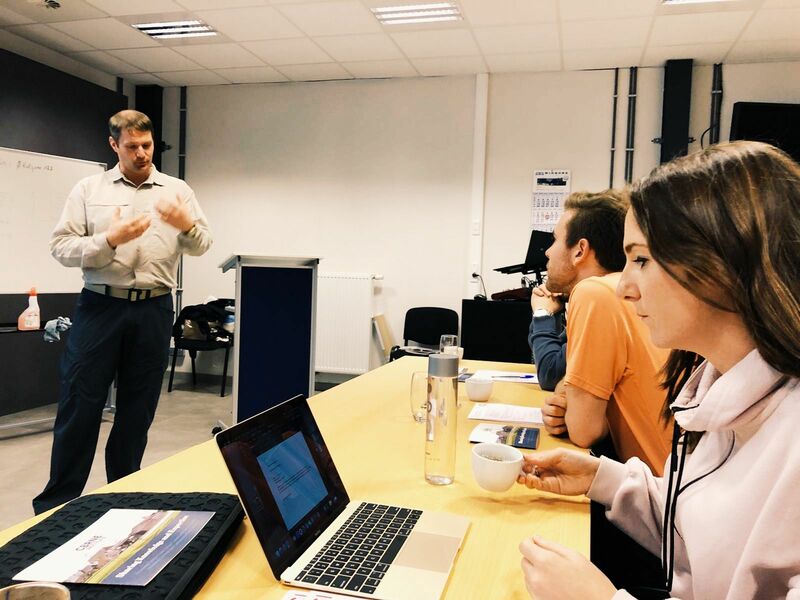 Over the last week, we took another important step in that direction by undertaking a CBRNe awareness course given by the Director of Operations of Hotzone Solutions Group, Magnus Backlund and the President of the International CBRNe Institute’s (ICI), Mr. Yves Dubucq at the ICI HQs in Les Bons Villers, Belgium. The Awareness Course included: amplifying our knowledge of CBRNe agents and their effect on the human body; the detection of an array of CBR agents; the stages of contamination and decontamination; and the Personal Protective Equipment (PPE) required when confronting the greatest dangers of today. The course provided the IBC team with an invaluable experience and the knowledge needed to continuously serve the CBRNe community. Magnus Backlund first took us through the different types of CBRNe agents, the way that they affect the human body, the difficulty in addressing biological agents, and the lasting effect of radiological sources. After completing the previous session, we were given the practical experience of trying out the different kinds of PPE used by first responders when a CBR incident occurs. Mr. Backlund explained what characterizes the different levels of PPE, when each level is required based on the threat assessment, while assisting us in the donning and doffing procedures. On day two we addressed the threat of contamination for responders in the hotzone, the importance of a hard line between the hot, warm, and cold zones, and decontaminating personnel, equipment, and the injured. Mr. Backlund also took us through the set-up of the Contamination Control Station (CCS) and the proper disposal methods of contaminated material. Mr. Dubucq took the torch from Mr. Backlund for a practical lesson on detection. Discussing different chemical agents including GA, GB, GD, GF, HD and VX, we learned about the important differences in their characteristics, how this affects their detection, and the way in which they change the decontamination process. Specifically, with the use of simulants, Hotzone Solutions was able to showcase the procedural elements to be kept in mind when operating detection equipment. 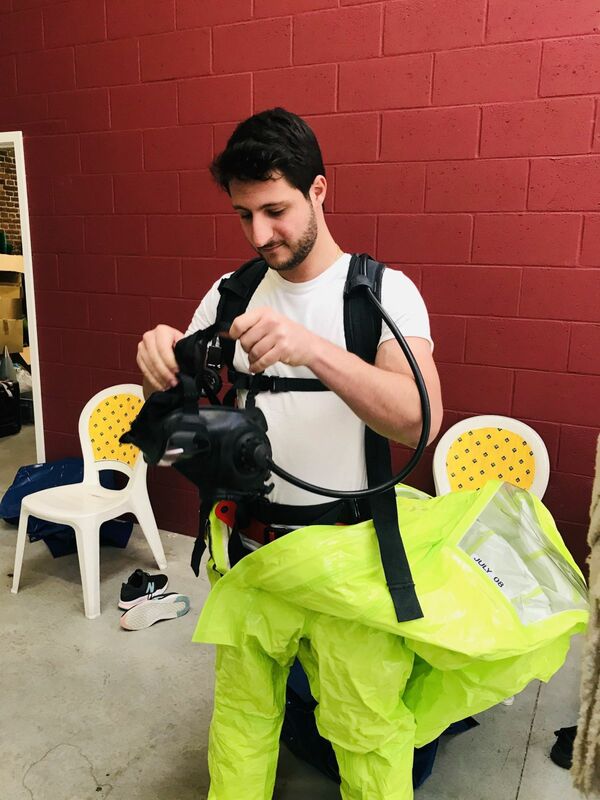 For the last portion of the two-day training, we learned about the level of protection of impermeable suits, also giving us the chance to don one. Members of our team did their best to efficiently don and doff the equipment, as well as practice walking and working in the gear. Whilst technology is imperative in mitigating and responding to CBRNe threats, the training to correctly use it and the practice required to improve its use during the response cannot be underestimated. Training at the ICI with experienced members of Hotzone Solutions Group provided us at IBC with an increased insider knowledge on what is needed to prepare for and respond to CBRNe incidents. This however, was just another step for our team as we continue to amplify our knowledge within the field. We hope that all of you join us in our mission.